I found this striking image online and - naturally - purloined it for the blog! 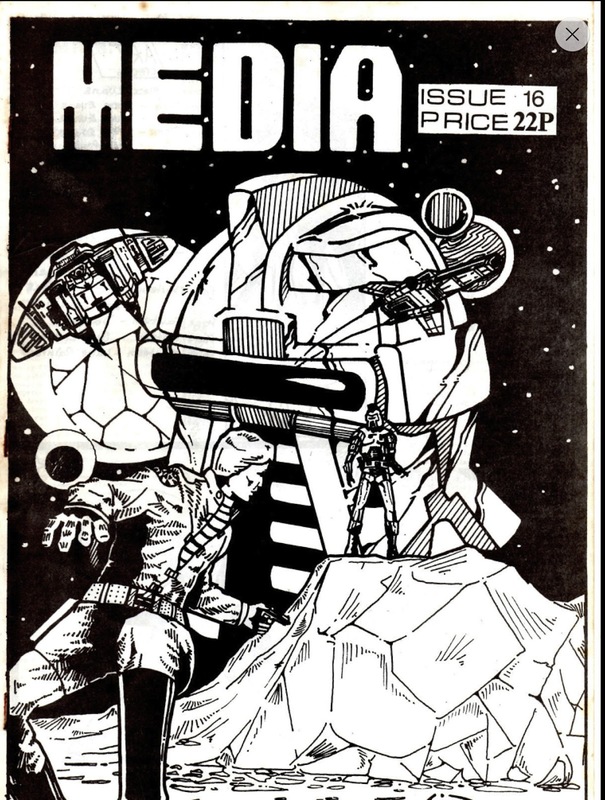 From the information I have (which isn't much): It's the front cover to a 1979 British fanzine which - as the name suggests - was devoted to all things (geek) media. I've no idea who was responsible for either the 'zine or the artwork. Assuming they're not one-and-the-same person. The eBay listing did include a list of contents for the issue and there didn't seem to be anything Galactica-related inside, thus supporting the old adage about books and covers. I guess the editor thought the piece so eye-catching that it was justifiable to use it anyway. As fanzine editors tend to do. It has a cover price but only the Lords of Kobol know whether this was actually sold in any shops. Does anyone have this issue (or any of the others)? It would be awesome to cover this in more detail.